A fun time in the autumn camp, 2014. M Riding organizes 2 ridelejre during the autumn holidays in 2016 in week 42. On ridelejrene are also parents and adults are welcome to sign up. The first camp goes from Saturday the 15th. to Tuesday the 18th. October and the second from Thursday 20. to Sunday 23. October. Press ‘ Book online ‘ tab to the right and see where there are still seats available. The camps starts the first day at 10am and ends on the fourth day at 2pm. Ridelejren costs 3100.0-us in the summer holidays and 2800.0-us during the autumn holidays. The price is including horseback riding, food and accommodation. Riding camp in the summer of 2014. There can be 8-10 participants on ridelejrene. Children staying with us at three to four guest rooms, with attached bath and toilet. Who rides on quality horses, quiet and well-mannered, friendly and of course our Icelandic horses are traffic safe. They are all good tøltes who are willing to go forward, so they’re definitely not boring. On the other riding camp in the autumn holidays figured it only one day, and the cool ridepiger made the trip in high spirits. 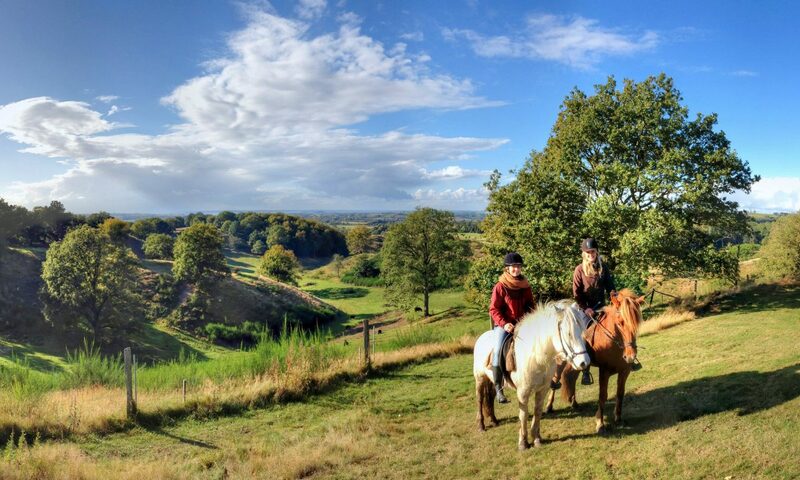 Riding camp during the autumn holidays 2013. More photos here. We ride in the forest and at the beach. In the picadero Horsemanship is taught with body language. It is possibly to arrange teaching of the basic riding skills on the riding course. Organized, beach day, nature playground ride, adventure evenings, horse story nights, video and candy nights, play night and much more cozy and exciting by age, needs and desires. In the evening there may be a bonfire and a hot-pot, where you can lie in the water and splash out as long as you like. There are also toys and boats that can be navigated with. Emphasis is placed on the fact that the kids treat each other well, and that no one will be excluded from the community, so that all can thrive and get a nice experience. Smoking is not allowed on ridelejrene. When there is a children’s camp, we meet on Østrup Turridning, Østrup 32, 5600 Faaborg at 10am. When we have said hello to each other, and you have seen where you/I be sleeping, it’s time to greet the horses. 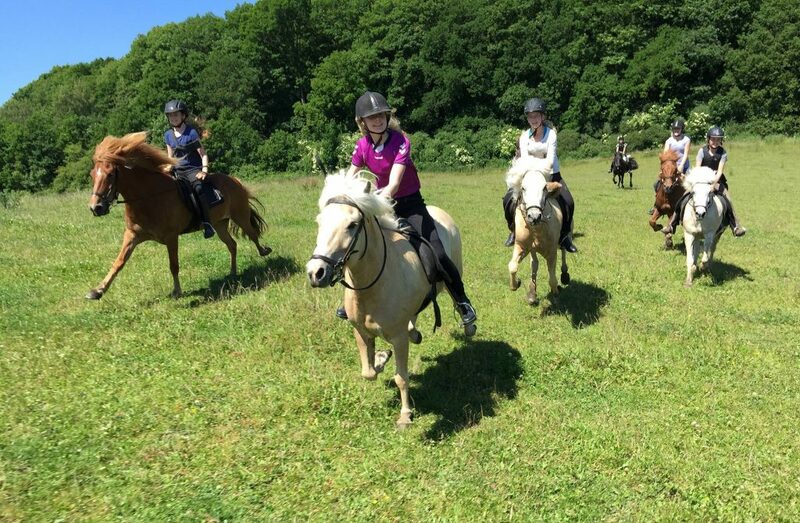 We will ride in the beautiful countryside around the Fyn Alps and we are going to the beach with the horses. There is fold for horses during lunch breaks, or we bind them, we visit the natural playground in the Fyn Alps, and other fun stuff. Then there is, of course, ice-cream kiosks along the way. There will be much time to cuddle and brush the horses, weave tails, man and that sort of thing. The horses are friendly and sociable, and you can go in among them. In addition to natural riding we work with body language and horsemanship in picaderoen. The ridig camp ends on the fourth day at 12 noon. 14. The price can be seen on the page with Prices and can be paid on arrival (check or cash, we can not take dankort) or it can be transferred electronically. Bed linen or sleeping bag. Sensible clothes, trousers without inside seam or jogging pants can be used if one lacks breeches. Like riding helmet, if you have one (we have some for lending). We look forward to seeing as many people as possible, both new and past attendees. It is always a good idea to book in advance, as there usually will be many asking to attend the children’s camps.